Discount Concrete Leveling Service provides lifting services in Houston, Woodlands, Conroe, Katy, Humble, Kingwood, Sugarland and Clear Lake. Discount Concrete will work with any residential, multi family, commercial/municipal concrete situation. Homeowners and landlords often find themselves faced with problems such as sinking driveways, pool decks and sidewalks. Discount Concrete Leveling Service can solve these problems quickly at 30 to 50% the cost of replacement. Whether you're performing regular maintenance on your home or you're getting one ready for sale, an estimate from Discount Concrete Leveling Service will be a financial relief compared to the price of replacement concrete. Discount Concrete Leveling Service can help owners and managers reduce possible expenses of trip-and-fall liability hazards of uneven concrete. We can also help improve the property appearance to prospective buyers or tenants. Commercial applications for our process include leveling city sidewalks, roadways, raised curbs, parking lots, and public areas for business and municipalities. Raising and leveling concrete typically costs about 30 to 50% of replacement. It quickly reduces further concrete damage and helps reduce expensive liability trip-and-fall hazards. Whether you have a residential, commercial or industrial project, we're here to help solve your concrete problems We're committed to providing our clients with the highest level of professionalism and quality services. 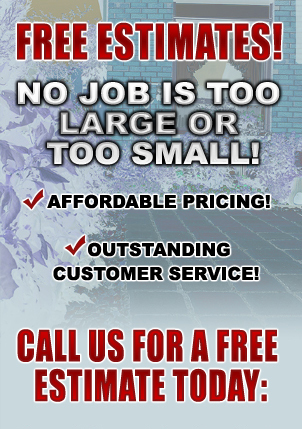 Discount Concrete Leveling Service is family owned and operated. We only employ skilled and experienced craftsmen. • Inexpensive. In fact, you can save 50-70% by raising concrete, rather than replacing it. • Fast - Repairs are often made in few hours. • Permanent - Just as permanent as replacement.